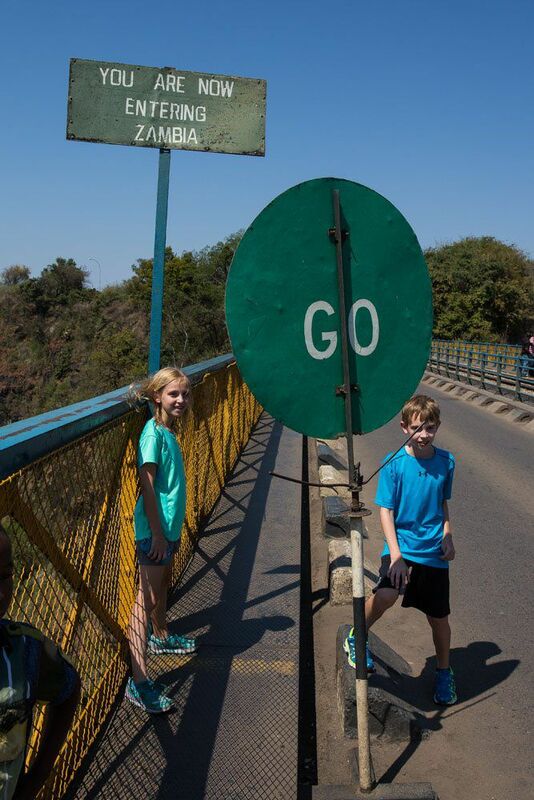 While visiting Victoria Falls in Zimbabwe, we walked across the Victoria Falls Bridge into Zambia. 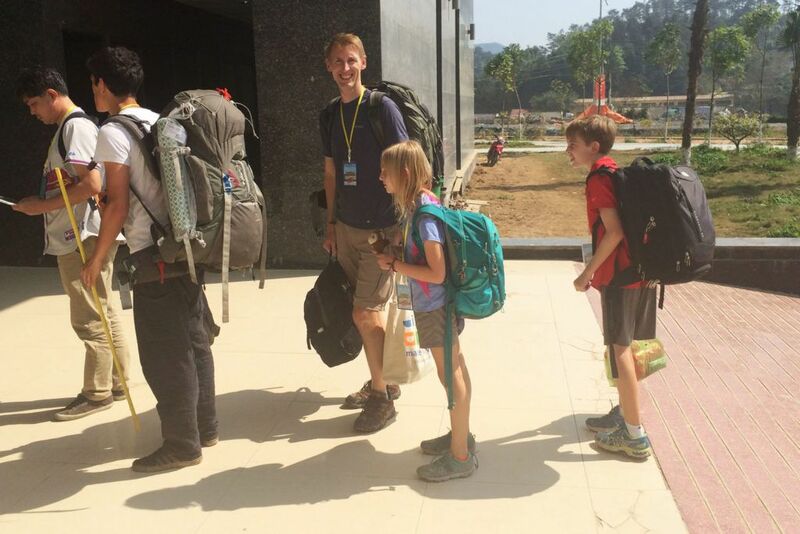 This sounds easy enough to do, but while planning our trip there was a lot of conflicting information about what visas and vaccinations are necessary in order to do this. If you have the same questions, here is some information to help you plan your visit. We visited Victoria Falls in August 2014. We made this trip as a day trip from Kasane, Botswana, hiring a driver for the day. We chose not to drive into Zimbabwe from Botswana, as we read from countless sources that taking a rental car into Zimbabwe is a hassle that is just not worth it. Our family of six left Kasane at 8 am. The Kazungula border post is located just ten minutes from Kasane. This is the border crossing to travel to Victoria Falls from Kasane. The first step is to clear customs and immigration on the Botswana side, which is very quick and straightforward. This requires a quick visit into the border control office to get your passport stamped. From here you get back into your car, drive thirty seconds across the border, then clear customs and immigration on the Zimbabwe side. Here is where things slow down. In the morning there are usually large groups of tourists heading to Victoria Falls, so be prepared to wait a half hour or longer to get through this part. It took us one hour to clear customs in both countries. Zimbabwe has different visa requirements depending upon your nationality. Many countries fall into Category B, the Visa on Arrival category (including the USA, Canada, Australia, New Zealand, the UK, most European countries, Japan, and more). For the full listing and to find out which category you fall in (and for updated pricing), click here. In order to enter Zimbabwe, a visa will have to be purchased, and there is the option of a single entry or double entry visa. If you are planning on only walking across the Victoria Falls Bridge into Zambia without entering Livingstone, Zambia, only the single entry visa is necessary. 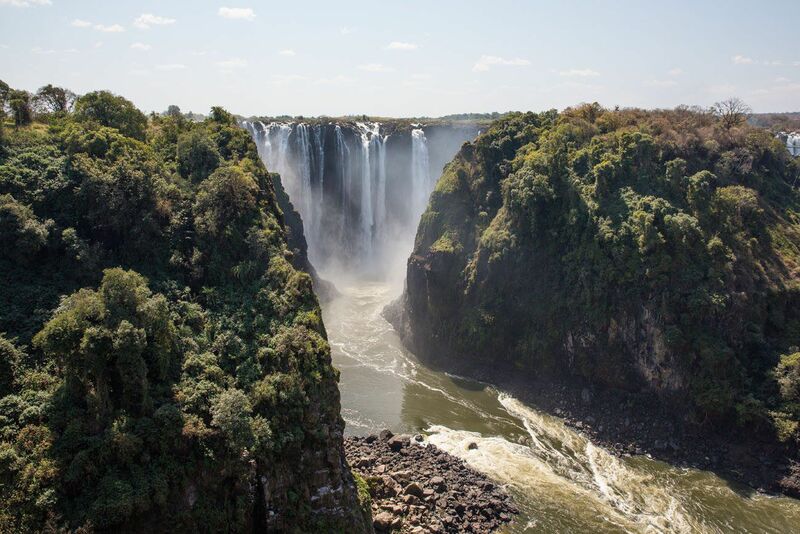 If you plan on entering Livingstone, Zambia (going through customs in Zambia) and later re-entering Zimbabwe, then a double entry visa is necessary. We purchased the double entry visa just so we were covered, at a price of $45 USD per person. A single entry visa costs $30 USD. 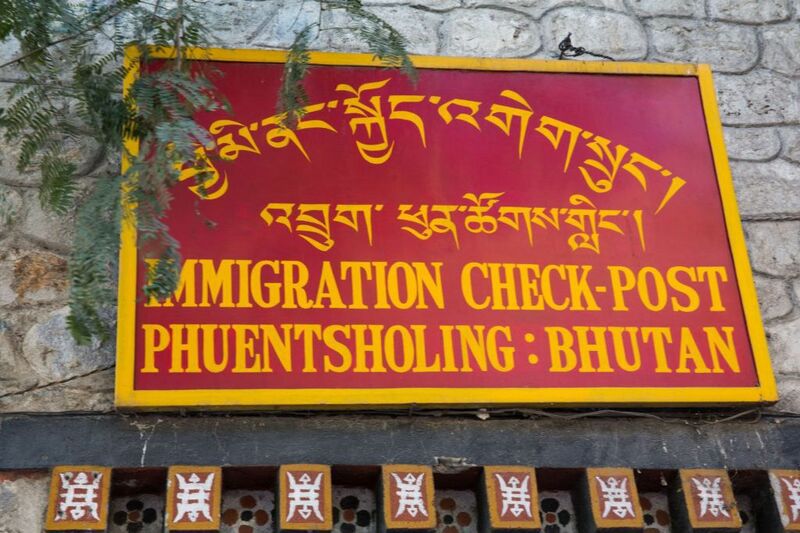 As it would turn out, only a single entry visa was necessary for what we wanted to do. From the Botswana-Zimbabwe border it is a one hour drive to Victoria Falls. The Victoria Falls Bridge is located outside of Victoria Falls National Park. To walk across the bridge, park in the lot across from the main entrance to the park, make a right out of the parking lot, and walk ten minutes down the road toward the bridge. 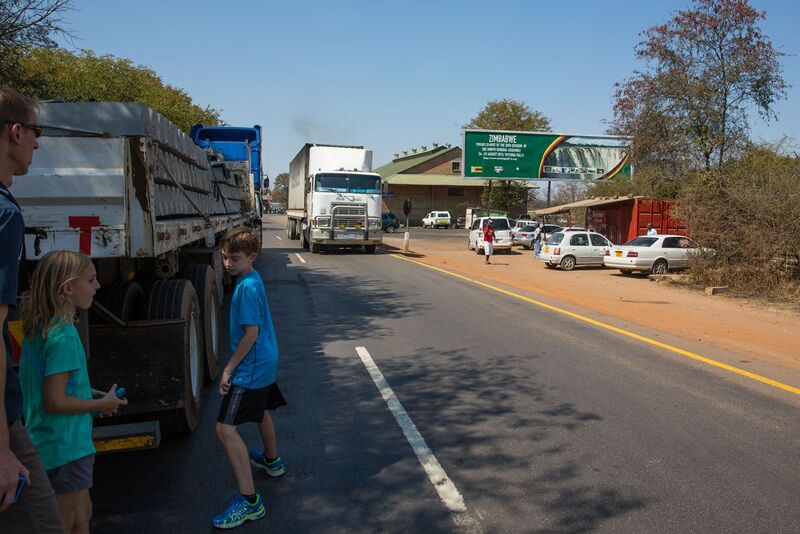 Before being allowed to walk onto the bridge it is necessary to clear customs on the Zimbabwe side, since technically you will be entering Zambia halfway across the bridge. You will be given a piece of paper stamped with the Zimbabwe stamp. Keep this piece of paper because this gets you back into Zimbabwe. 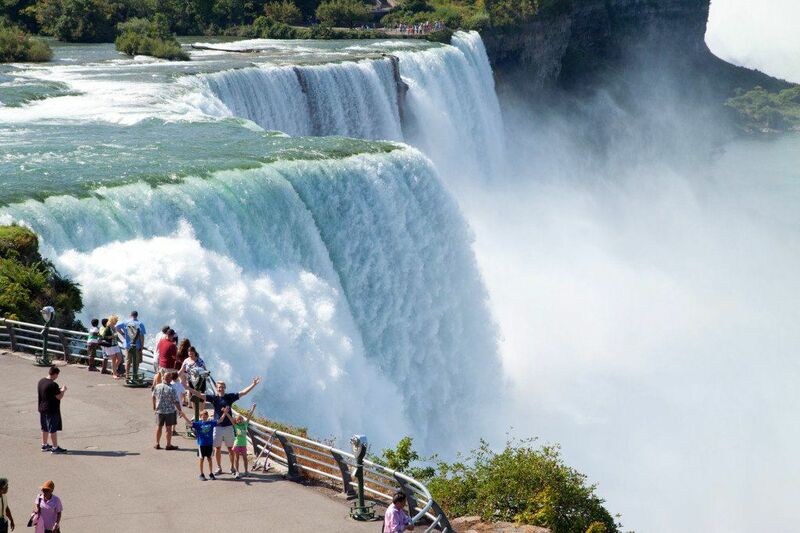 From here, walk across the bridge, enjoy views of Victoria Falls and go bungy jumping if your heart desires. Halfway across the bridge is the Zambia border. 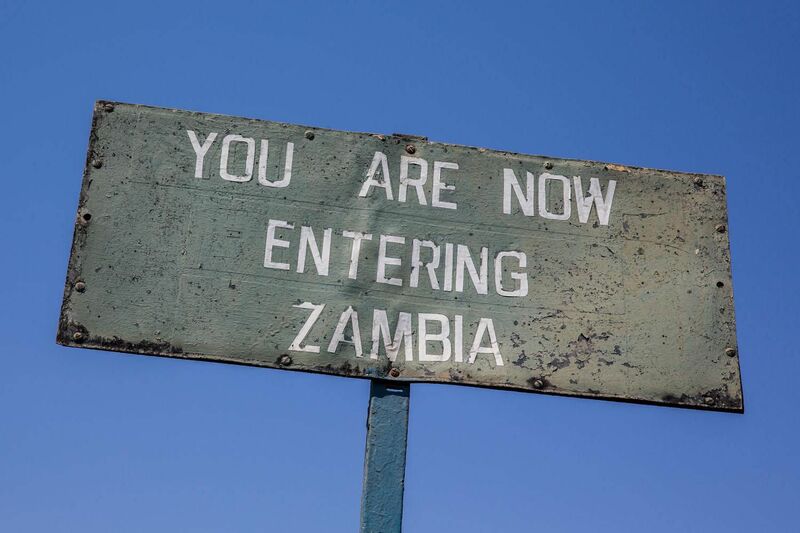 It is a ten minute walk from the bridge into Zambia to reach their border post. Once you are finished visiting the bridge, present the stamped piece of paper at border control to re-enter Zimbabwe and you are on your way. 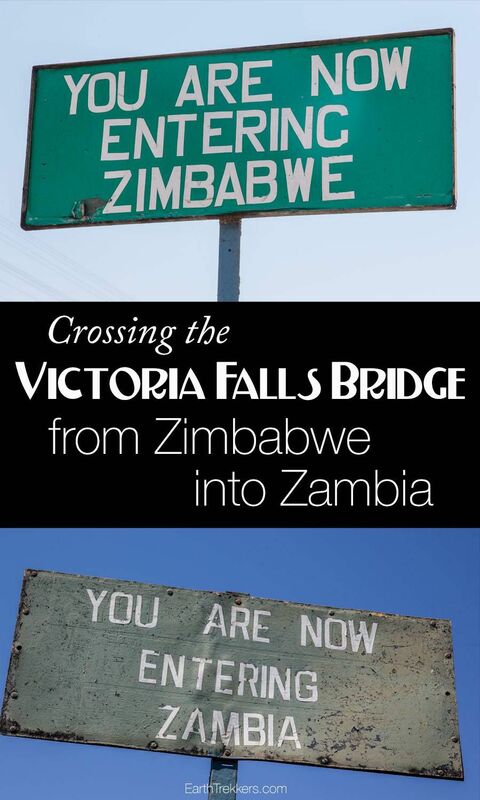 In summary, to just stand on the Victoria Falls Bridge, only a single entry Zimbabwe visa ($30 USD) is necessary. 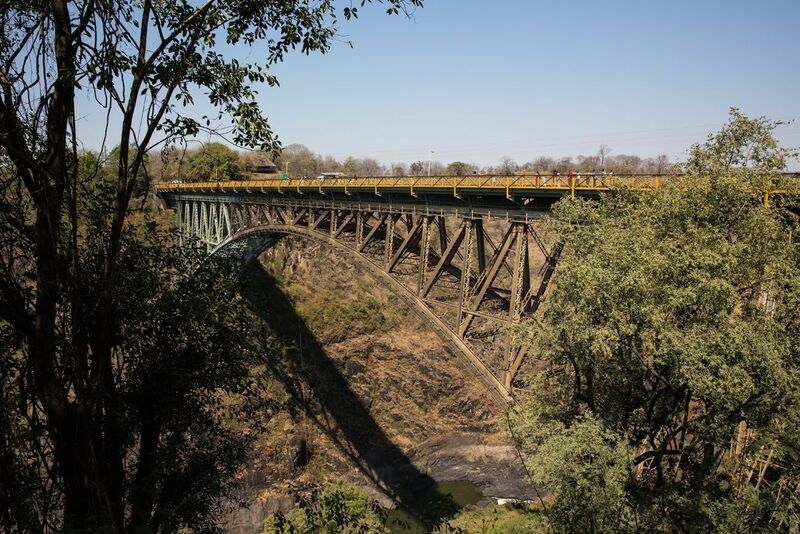 Once at the Victoria Falls border post you will be given a piece of paper with a stamp on it that will get you back into Zimbabwe from the Victoria Falls Bridge. If you choose to pass through border control in Zambia and later want to re-enter Zimbabwe, you must purchase a double entry visa ($45 USD) for Zimbabwe. Do You Need a Yellow Fever Vaccination? When we visited Zimbabwe and Zambia in 2014, South Africa had a requirement that any visitors to Zambia must have a Yellow Fever vaccination in order to enter South Africa. In February 2015, this requirement was lifted. For more information, read this. So no, you do not need a Yellow Fever vaccination to enter South Africa after visiting Zambia. 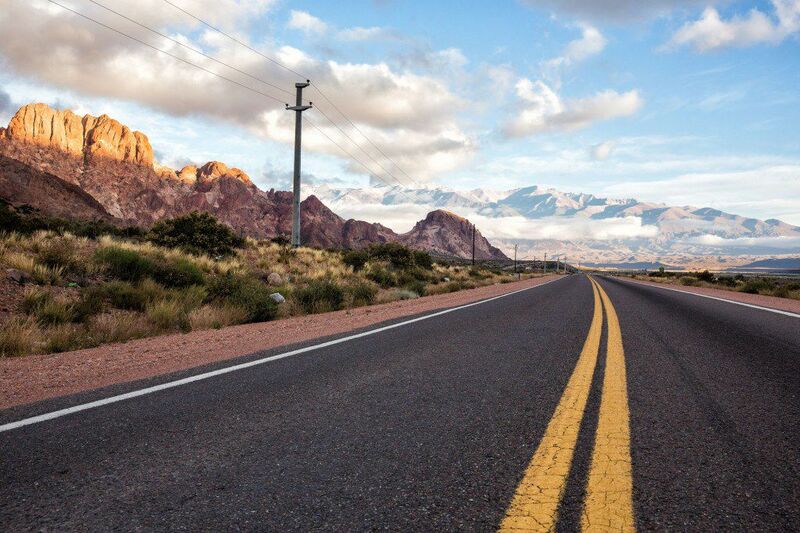 Chile: Driving from Santiago, Chile to Mendoza, Argentina. Should You Do It? Driving from Santiago to Mendoza. Should You Do It? FYI/Travel tip — beware that certain benign OTC medicines in the U.S. are considered illegal controlled substances in Zambia (such as Benadryl!). Travelers have been arrested at the border/airports for possessing even small quantities. No one made us aware of this beforehand, so we didn’t have a doctor’s note, and my husband has a severe food allergy — we have Benadryl on us nearly every second of the day when we travel! Do not take a chance — I hid two small packets of Benadryl in the bottom of my purse in case of emergency and dumped the rest on the plane from Kenya to Zambia. Hello Erin. Thank you for sharing this with us. For anyone who wants to read Erin’s quote directly from the US Embassy website, here is the link: https://travel.state.gov/content/passports/en/country/zambia.html. Then click on Local Laws & Special Circumstances. What if I am from East Africa countries, I mean Tanzania. And I would like to visit Victoria water falls in Zambia. Should I also need a Visa??? Or my temporary passport will work??? I am also planning to touch down in Zimbabwe (from J’burg), cross the border into Zambia, onto Chobe (Botswana) and then back into Zambia before returning to J’Burg. I plan on utilising the KAZA UNIVISA. I am unsure of your nationality, but quite a few countries can now use the UNIVISA scheme, which I believe is valid for unlimited trips between the countries for $50 and lasts 30 days. Someone please correct me if I am wrong. The KAZA UNIVISA is a tourist visa with a 30 day validity. It can be purchased on arrival at eight ports in Zimbabwe and Zambia for a standard fee of $50 USD (we recommend paying in cash). The visa allows you to cross back and forth between Zambia and Zimbabwe within the 1 month validity. Harare International Airport; Victoria Falls international Airport; Victoria Falls Border and Kazangula Border. Clients arriving at other border points will not be able to purchase the UNIVISA. Argentina, Austria, Australia, Belgium, Brazil, Britain (UK), Brunei, Burundi, Canada, Cook Islands, Czech Republic, Denmark, Finland, France, Germany, Greece, Hungary, Iceland, Israel, Italy, Japan, Liechtenstein, Luxembourg, Monaco, Netherlands, New Zealand, Norway, Poland, Portugal, Puerto Rico, Russia, Rwanda, Slovakia, Slovenia, Spain Sweden, Switzerland, UAE, Uruguay, and the USA. Thank you for your post, I’m traveling to Victoria Falls, Botswana, and Livingston in a few months and I’m trying to figure out what types of visas and vaccines we need. This was very helpful! We are spending 11 days in zambia then going to hong kong with a stop off 3 hours at joberg airport. Do you still need a yellow fever certificate even though we are only going through the airport? Are you flying between Zambia and South Africa? If so, to enter South Africa, even in the airport, you may need a Yellow Fever Certificate. I know that they are very strict about this. You might want to contact someone in South Africa to clarify this, it is a good question. I honestly do not know the answer to your question and do not want to give you wrong info. That was a great day with you Earthtrekkers. 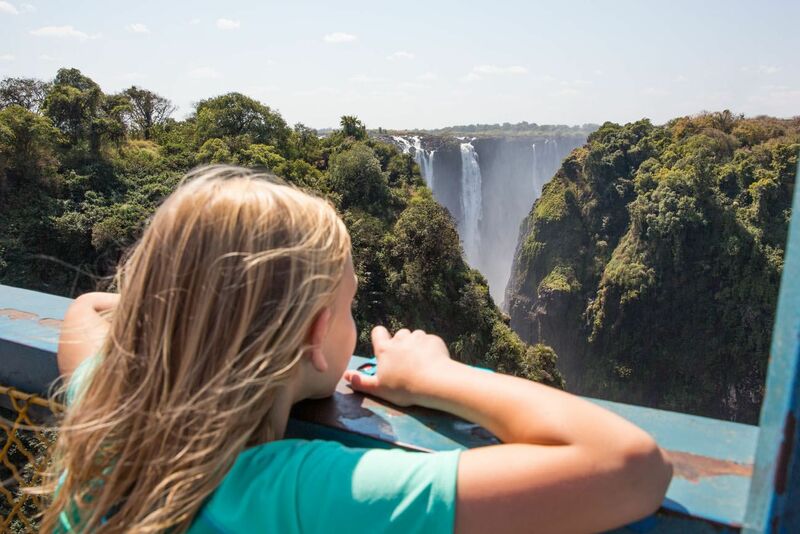 The schedule did not fit either for you or for us :-), but the Victoria Falls were one of the most impressive places we’ve ever been to – and going there with you was a pleasure. Enjoy your trip! It was nice meeting you. Hopefully you had a nice boat ride on the Chobe River. Keep in touch! Our boat ride was nice, but in fact the boat had to return for us, wich was quite an embarrassing situation, but the other passengers were unexpectedly still really kind to us… 🙂 Glad you’ve been to Kruger Park! But really: What you have seen there (and in Chobe) is extraordinary – your pictures as well! We’ve spent six days in Kruger and we’ve only seen one distant lion in the dark. 🙂 But still we had a great time there. And last not least: Thank you for going to Dachau with your children. This is something even grown-up Germans haven’t seen and won’t see… All the best to you four!